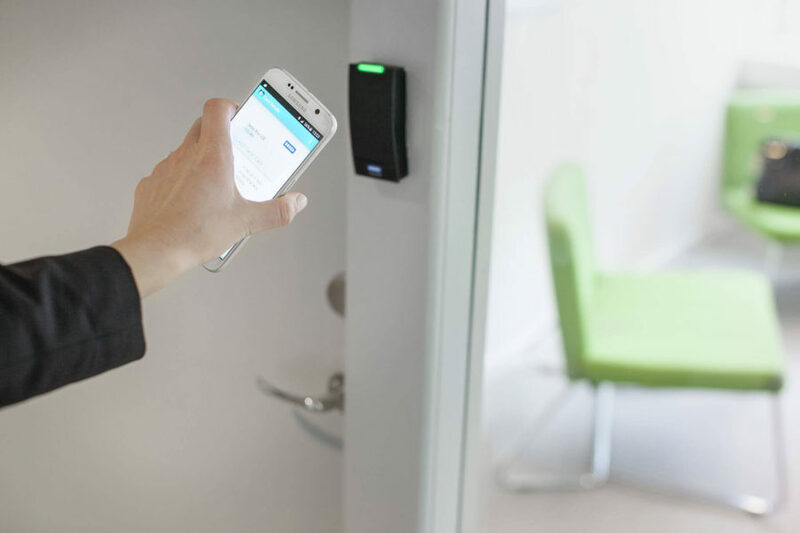 If you’re tired of always replacing office keys, ordering new keys, rekeying doors, collecting keys of ex-employees, or are simply looking for a more secure way to give employees access to your building, you’re probably considering some type of access control system. An access control system allows you to monitor which employees come and go and at what times and to selectively give access only to those who need it. While some sort of access control system is almost necessary in today’s world, it is only a small functional aspect of a working security system. For instance, what happens if your building gets robbed using the access card of one of your employees and the employee claims their card was stolen? The system that was supposed to keep you secure has not only failed, but left you with no way to find out what actually happened. A universal security solution brings together multiple facets of security into a synchronized system. Access control, video surveillance, and intruder detection are the most common, but users can bring in any sort of system they like, such as asset management, intercom systems, or visitor management. All systems work in conjunction to give seamless security to a building or property. Access control limits access to authorized individuals and prevents the entry of unwanted intruders. It is most often seen in the form of individualized key cards and electronic locks. Video surveillance cameras are set up throughout an organization to observe and monitor any physical activity. They are usually hooked up to an IP address so that the video can be monitored by a guard in real time, as well as be stored and watched later. Cameras are placed in strategic locations to cover as much of the area as possible. Intruder detection systems are designed to prevent and thwart the efforts of a physical intruder. Alarm systems are often set up to alert security personnel when an unauthorized person has entered a building. The loud noise of the alarm alerts all personnel inside the building and will notify local law enforcement that there has been a break in. Added bonus: a universal security solution grows as you do. It’s open architecture makes it easy to add on new systems as they are needed. Of course, you could purchase all three plus any add-on systems separately, but then all these systems will work independently from one another, which can potentially leave gaps in security. A universal security solution marries all security measures into one cohesive system. With a hosted universal security solution, any access control entry can be verified by its video surveillance sister system. Likewise, if an intruder were to attempt disable the video surveillance system, the alarm system would recognize it as illegal action and go off. Individual systems will not coordinate with each other in the same way. While a universal security solution is incredibly beneficial for mid-size companies, a hosted universal security solution is really the best option when it comes to integrated security. A security system that lives in the cloud is convenient, easier to operate, and far more cost effective than a physical system. A hosted solution lives on the cloud. Local security systems require annual system upgrades and bug fixes to remain secure, all of which need to be done manually. Usually, a technical team would need to be hired to perform the necessary updates. A system on the cloud updates itself, making manual maintenance virtually zero. Local security is also susceptible to crashes and internal errors, which mean you are held responsible for having proper backups and fail-safes should a crisis occur. A hosted solution is automatically backed-up and protected, eliminating the need for redundancy or the possibility of single points of failure in a system. The cloud also reduces the need for on site servers, software, data center space, and network equipment. Perhaps the most convenient feature of a cloud-based solution is that it can be controlled through a mobile device. If an employee needs to access the building on a Saturday, you can remotely grant them access through an app on your phone. Should a break in occur, first responders can also be remotely keyed in with the touch of a button. The convenience and mobility purchased through a hosted system gives you unparalleled security all while letting you focus on your essential job functions. with little to no time or effort needed on your part. A hosted universal security solution brings all the benefits of a high-class security system without the need for extra manpower. Once it has been installed, it’s a breeze to manage, maintain, and adjust. If you’re looking to upgrade your security system or want to learn more about the benefits of moving to the cloud, contact TSG Security today. We can talk through the scope and budget of your project and decide what security measures best fit your needs.
. Tagged as Access Control Systems, integrated security, Universal Security.